Restorative dental services are those that are centered around the identification, diagnosis, and treatment of dental health concerns. The main goal of restorative dental services is just as the same suggests: to restore damaged, infected, or decayed teeth to their previous, healthy state. 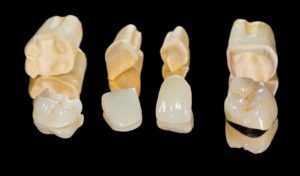 Thanks to modern dental technology, there are now several options available for restoring a tooth’s shape, appearance, and function. Restorative dental services are not only for people who don’t take care of their teeth. Even if you take good care of your smile, you may still need restorative dental services at some point. Restorative dental services are simply part of keeping your smile healthy, functional, comfortable, and beautiful. Am I a candidate for restorative dental services at Heritage Park Dental? To find out how restorative dental can help improve or restore your smile, schedule a consultation with Dr. Shadi Heidarian of Heritage Park Dental today! What types of restorative dental services does Heritage Park Dental offer? Composite Fillings: first, rids your teeth of decayed tissue and then fills the remaining space with either gold, porcelain, silver amalgam, or composite resin. 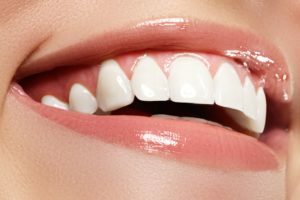 For a cosmetic option, usually porcelain or composite resin are used since they blend in with the teeth’s natural color. Crowns (caps): caps that fit over your entire tooth. Crowns are generally used to restore broken teeth or teeth that have had large cavities that cannot be restored with fillings alone. They can also be made from metal, although cosmetic options generally use porcelain. Dentures & Partial Dentures: both are used to replace missing teeth. Partial dentures replace a few missing teeth here and there, while a full set of dentures will replace an entire mouth of missing teeth. They are removable and generally come out at night. Fixed Bridges: bridges are also used to replace missing teeth and are a series of dental crowns attached to surrounding teeth with a pontic, or fake tooth, sitting in the socket of the missing tooth and acting as a “bridge” between the two remaining teeth. Root Canals: a restorative procedure used when tooth decay has reached the pulp, or innermost layer, of the tooth. During a root canal, decayed pulp tissue is completely removed from the pulp chamber and root canals, and the remaining space is filled with a special material. Then the entire tooth is restored with a dental crown to protect it. Porcelain Veneers: thin, porcelain shells that can be adhered to the front surface of your teeth in order to correct their size, shape, and color. Veneers require that your teeth be permanently altered before their placement. Teeth Whitening: a procedure that removes stains from the interior and exterior of your teeth. It can be performed in or out of the office, depending on the types of desired results. How do I know which restorative dental service I need? To determine which type of restorative dental service is needed, if any, Dr. Heidarian will perform an oral exam and dental x-rays. She will also ask you questions about your dental health and may even ask you about your overall health. If your oral exam or dental x-rays show that restorative treatment is needed, Dr. Heidarian will make recommendations based on her dental expertise. If a dental restoration is required, there are two different types of dental restorations that may be used. The first type is direct restorations. Direct restorations are restorative dental treatments that can be performed completely in the mouth, such as a filling or dental bonding. Because they can be completed entirely in the mouth, direct restorations can usually be completed in a single office visit. The second type of dental restoration is an indirect restoration. Indirect restorations are restorative dental treatments that cannot be completed entirely within the mouth and require the use of either a dental laboratory or technology such as a CAD/CAM machine. Because of this, indirect restorations may require more than a single appointment and usually have a higher cost because more steps are involved. Some examples of indirect restorations include: veneers, crowns, bridges, and dentures. What should I expect when receiving restorative dental services from Heritage Park Dental? Prior to receiving any restorative dental services from Heritage Park Dental, you can expect to undergo an oral exam and dental x-rays. During your oral exam, Dr. Heidarian will evaluate your teeth, gums, and overall bite alignment. She will likely measure your gum pockets and may even test each individual tooth for signs of sensitivity. She will also evaluate your dental x-rays to see if there are any problems below the surface or that are not immediately visible. If the oral exam and/or dental x-rays detect a dental issue, then a restorative treatment will be recommended. If a direct restoration, such as a filling or dental bonding, is needed, it can usually be completed during the same appointment. However, if an indirect restoration, such as a dental crown or dentures, is needed, you may require additional appointments to have the restoration placed and properly fitted. Depending on the nature of your restorative treatment, you may be offered anesthetics or dental sedation to be kept comfortable. 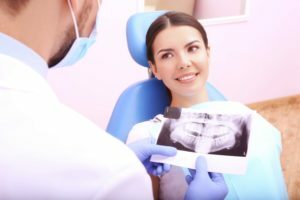 What should I expect after receiving restorative dental services? After receiving restorative dental services, you may be provided with special post-treatment instructions to follow. If post-treatment instructions are required, they will be explained to you before you receive treatment. Depending on the type of restorative treatment completed, these may include some or all of the following: temporary dietary restrictions, keeping the treatment site clean, modifying your dental routine, taking antibiotics or pain medications, and restricting your activity levels. If no special instructions are given, then you will simply need to maintain a good oral hygiene routine to keep your teeth and gums healthy. This routine should consist of brushing your teeth twice a day for two minutes at a time with fluoridated toothpaste, flossing once a day, and visiting Heritage Park Dental at least once every six months for your dental checkup and professional teeth cleaning. What is the cost of restorative dental services? The cost of restorative dental services can vary depending on the type of treatment, extent of treatment, and where in the mouth treatment is performed. For example, restorations on molars may be more expensive because they are harder to access, and indirect restorations are more expensive because they require the use of a dental lab. With dental insurance, however, you are generally able to obtain some level of partial coverage to help offset the total cost of restorative dental care. In fact, most dental insurance companies offer varying levels of coverage for restorative dental care. To restore your dental health with restorative dental services, schedule a consultation with Dr. Shadi Heidarian of Heritage Park Dental today! Heritage Park Dental serves Palo Alto and the surrounding communities.